Looking for a summer music festival bargain? For a limited time, Riot Fest is selling three-day general admission passes for $99.98 (before taxes and fees), which includes access to sets from Beck, Blondie, Blink-182, Elvis Costello, Alkaline Trio and more great acts in Douglas Park, from September 14 to 16. 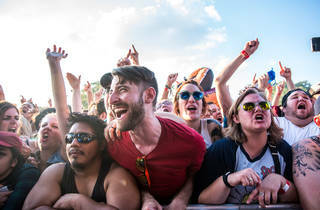 For comparison, three-day passes to the festival were previously being sold for $159.95, and a single-day ticket to the 2017 edition of Riot Fest was $100 at the gates. The flash sale came about due to settlement that Riot Fest reached with its ticketing partner Ticketfly, whose servers were attacked by a hacker on May 30—the same day that Riot Fest announced its 2018 lineup and began selling tickets. In a message that was posted on the Riot Fest website this morning, founder Michael Petryshyn explained that he wanted to pass the financial windfall along to the event's supporters. “Granted, there were people chirping in my ear to just keep the settlement and go about our business as usual—but they should know us better by now,” Petryshun stated. The $99.98 price point applies only to new purchases, but Riot Fest organizers didn't forget about the folks who have already snagged their 2018 tickets. Anyone who has already purchased a three-day general admission or VIP pass to this year's festival will receive one free, single-day general admission ticket to give to a friend. 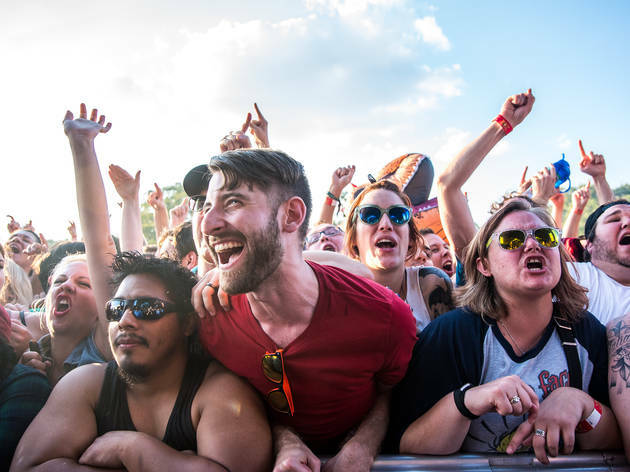 Additionally, those who have already purchased a regularly priced ticket will also receive a link allowing them to purchase a three-day general admission pass to Riot Fest 2019 for $99.98. If you're enticed by the prospect of a discounted three-day Riot Fest pass, you should act fast—the festival hasn't revealed how long this deal will be offered, but we're guessing that it won't take long for the allotment of cheap tickets to sell out.